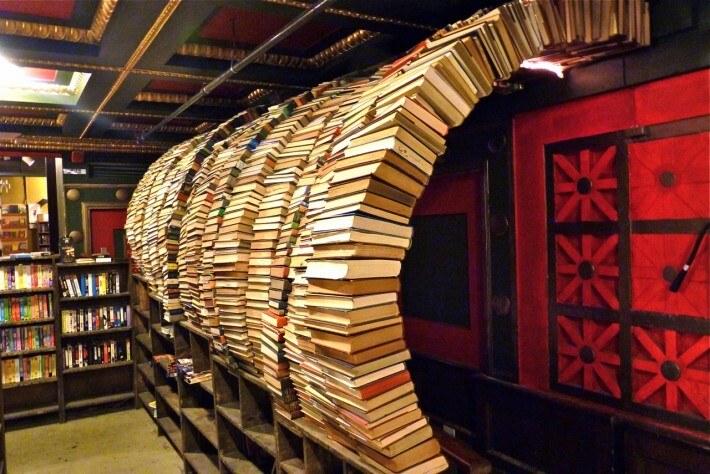 The Last Bookstore in Los Angeles offers a dramatic architectural experience. Indie bookstores in the US have thrived and there’s no secret to their success: it is about creating experiences, building community, and connecting. And indeed, shopping there is an experience, a mixture of “architectural flair” including, for example, a tunnel made entirely of books. Independent bookstores are selling more than books. At New York City’s legendary The Strand for example, stationary, bags, t-shirts, etc. make up 15% of the stores revenue. They build on and enhance a sense of community.